Watch now to see the SmartClass Fiber MPOLx, industry’s first dedicated optical loss test set that can perform all test requirements for Tier 1 (Basic) certification using MPO fiber connectivity, in use. Competitive market pressures demand that networks are continuously upgraded and maintained to ensure the delivery of higher-speed, higher-quality applications and services to customers. The constant evolution of high-speed optical fiber systems raises the level of testing, accuracy, and precision required on the fiber infrastructure to support these applications and services. By offering the industry’s most complete range of fiber test solutions, VIAVI Solutions reduces the complexity around these new network architectures and makes them easier to test. Fiber testing is critical today for nearly every type of network. Proficiency is required by fiber optic installers, contractors, project managers, technicians and engineers that need to understand, apply, and correctly measure and record the performance of fiber infrastructures. Fiber optics support much of the world’s Internet, phone and television data transmission today. As these networks continue to expand and user load continues to increase, the development of standardized fiber testing practices becomes increasingly important. The transmission of an optical signal through a thin glass “fiber” is not a new concept. Over 100 years ago, experiments demonstrated the ability of light to travel through a curved glass substrate and retain most of its original intensity. By the late 1960’s, laser optics, ultra-transparent glass fibers, and digital signaling combined to form the foundation of the fiber optic communication networks that we know today. By the 1990’s, fiber optic networks could already carry up to 100 times more information than traditional cable with electronic amplifiers. Fiber optics work by converting electronic/binary information into optical signals in the form of digital light pulses. These signals can be transmitted through long fiber optic runs to a receiver at the far end of the line, where the signal is converted back into its original binary form. This is the readable format for computer systems and devices. 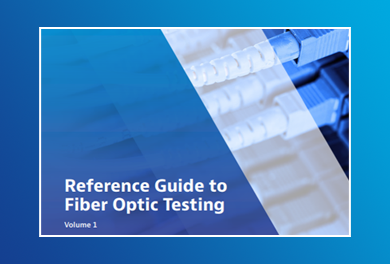 To verify and maintain the integrity of these optical signals throughout long distance runs and complex networks, and keep pace with the increases in bandwidth, fiber testing processes must continually evolve. The application of fiber optic communication may seem elegant in its simplicity, but fiber optic cable testing requires an understanding of some basic principles that differentiate fiber testing from its analog wire testing predecessor. An optical fiber is composed of a very thin glass rod, which is surrounded by a plastic protective coating. Light, which is injected into the core of the glass fiber, will follow the physical path of that fiber due to the total internal reflection of the light between the core and the cladding. Core: The center of the fiber cable, made of specially treated glass or plastic. This is the medium for light transmission throughout the span of the cable, so it must be as pure and clean as possible. Cladding: An additional layer made of material similar to the core, but with a lower refractive index to facilitate reflection of the light source back into the core continually. Coating: The outer layer of the cable which wraps, protects, and insulates the core and cladding. Fiber is classified into different types (multimode or singlemode) based on the way in which the light travels through it. The fiber type is closely related to the diameter of the core and cladding. The primary advantages of multimode fiber are the ease of coupling to light sources and to other fiber, lower cost light sources (transmitters), and simplified connectorization and splicing processes. However, its relatively high attenuation (optic loss) and low bandwidth limit the transmission of light over multimode fiber to short distances. The advantage of singlemode fiber is its higher performance with respect to bandwidth and attenuation. The small core size of singlemode fiber generally requires more expensive transmitters and alignment systems to achieve efficient coupling. Nonetheless, for high performance systems or for systems that are more than a few kilometers in length, singlemode fiber remains the best solution. In order to assess the quality of a fiber installation, to sign it off as ready for service activation and to ensure reliable on-going operation of a fiber link you must perform some fiber test. When two fibers are mated together, a key requirement is to ensure light passes from fiber to fiber without excessive loss or back reflections. What remains challenging is maintaining a pristine end face. A single particle mated into the core of a fiber can cause significant insertion loss, back reflection, and even equipment damage. Proactive fiber inspection is essential to ensure reliable fiber connections. When testing fiber networks, a visible laser source connected to one end of the cable can be used to verify the transmission to the opposite end. This type of fiber test is only intended to detect gross fiber defects such as macrobends. Fiber continuity testing can also be used to determine whether the right fiber optic cable is connected to the right patch panel location. A Visual fault locator (VFL) uses visible spectrum laser light to test fiber continuity as well as detecting fault conditions. The red light source will be visible through the coating at the location of any fiber breaks or defective splices. For fiber runs longer than 5km/3miles or where access to view the fiber is limited, an OTDR would be used to pinpoint any continuity issues. As the light source traverses the fiber, it decreases in power level. The decrease in power level also called optical loss is expressed in Decibels (dB). The most accurate way to measure the overall optical loss in a fiber is to inject a known level of light in one end and measure the level of light at the other end. This measurement done with an optical light source and power meter requires access to both ends of the fiber. A power measurement is a test of the signal strength from the transmitter once a system is live or activated. An optical power meter will display the optical power received on its photodiode and can be connected directly to the optical transmitter’s output or on a fiber cable at the point where the optical receiver would be. Optical power can be measured in “dBm” units, where the “m” represents 1 milliwatt and the “dB” refers to decibels. 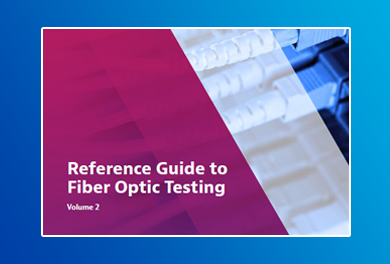 To test a fiber for optical loss, you will need to connect to a test source to provide an optical light standard, as well as a launch cable to provide a calibrated “0 dB loss” reference. A power meter at the opposite end of the circuit will measure the light source with and without the fiber under test to quantify the loss in dB of the fiber itself. Other methods of optical loss testing include both launch cables and “receive” cables connected to the power meter. This method is the standard test for loss in an installed cable plant, and includes the loss measurements at both test cable connection ends. For this reason, ensuring all connections are extremely clean is an important aspect of any fiber test. 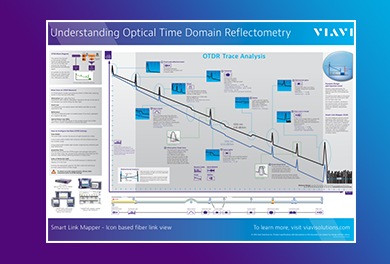 An Optical Time Domain Reflectometer (OTDR) can also be used to test fiber optical loss in a different way. Utilizing high intensity laser light emitted at a pre-defined pulse interval through a connecting cable at one end of the fiber optic cable run, the OTDR instrument analyzes the backscatter of light returning to the source location. This one-ended fiber test method can be used to quantitatively analyze the loss, as well as pinpointing the loss locations. Learn more about OTDR Testing. Testing fiber optic networks is an essential part of fiber optic installation, as well as ongoing maintenance. Following some fundamental fiber testing best practices will lead to safer, more efficient, and more reliable fiber deployments and network activation. The importance of cleanliness in fiber installation and testing cannot be overstated. A fiber optic microscope can be used verify the cleanliness of the core and connecting ferrules. Specialized cleaning materials are recommended for proper cleaning of fiber optic connections. This same attention to cleanliness should be applied to reference cables and test equipment connections. When using a VFL for fault location eye safety is extremely important. Since a VFL utilizes a high intensity laser light source, neither the source nor the fiber core illuminated by the VFL should be viewed directly with the naked eye. The use of an optical light source and a power meter, or an optical loss test set (OLTS), is considered a good practice for ensuring that optical power budget is within design specification. Record and baseline the fiber link ‘characteristics’ with an OTDR. Lastly, proper planning and preparation are basic best practices applicable to any organized endeavor, including fiber testing. 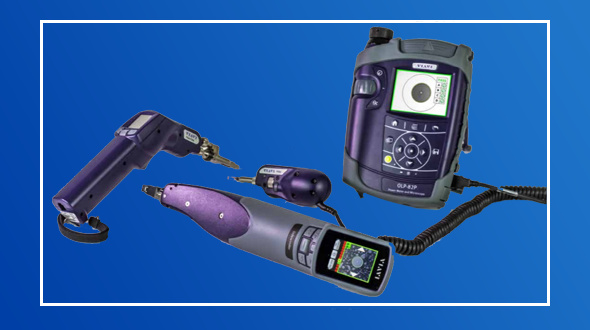 Cleaning and pre-testing equipment, ensuring equipment is calibrated, studying the proposed layout, and assembling a complete and comprehensive test tool kit are additional ways to carry out the most effective and accurate fiber test. Start fiber testing with VIAVI today! Are you ready to take the next step with one of our fiber test products or solutions? 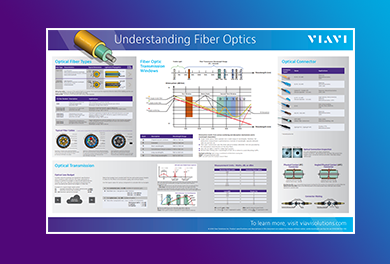 Learn about optical fiber types, fiber optic transmission windows, optical transmission and optical connectors. What does an OTDR measure? How should you configure your OTDR settings? Find out now! Designers, installers, and operators of fiber networks with MPO connectivity highlight trends and challenges. Make your job easier, faster, cleaner. With Fiber Certification...Are You Working Smart? Are You Being “Smart” About OTDR Testing? With FTTH/PON... Are You Working Smart? Certify, maintain, and troubleshoot your fiber optic systems better. VIAVI MPO connector test solutions keep it simple and make it fast -- really fast. Get fiber optic test tools for any network today. Find tools and learn inspection tips and tricks. Click for fiber optic monitoring systems and tools. Find modular fiber sensing solutions in portables and rack-mounted options.